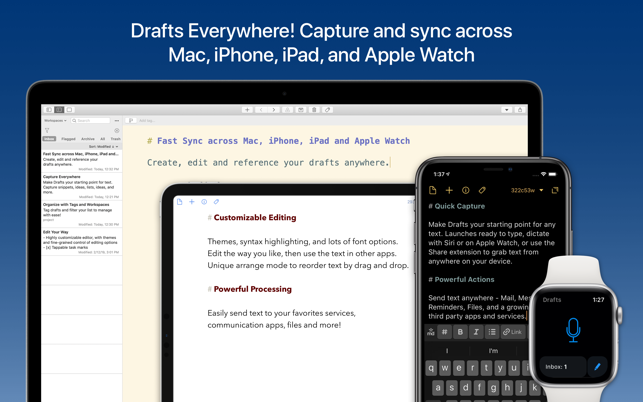 The arrival of the Mac version enhances the usefulness of the iOS version that I've come to rely on for quick capture of notes, information, or longer article-writing tasks. The two greatest features of this are: 1) It's available on all my devices with fast startup. On the Mac there's a menu bar icon for quick capture. 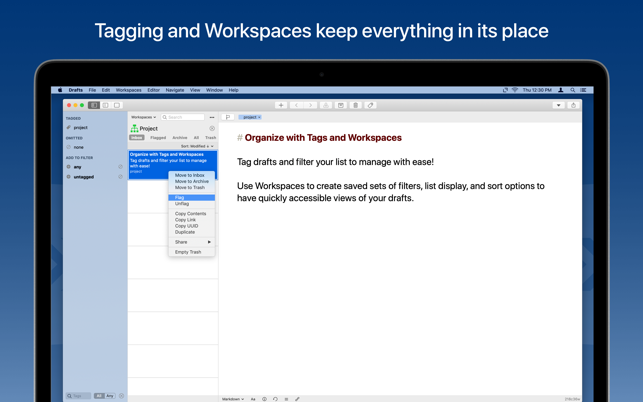 It is my 1st stop when I have an idea and AFTER I type it I can decide if it's a note for export to Evernote, a to do for export to ToDoist, an email or tweet for export to the appropriate tool. 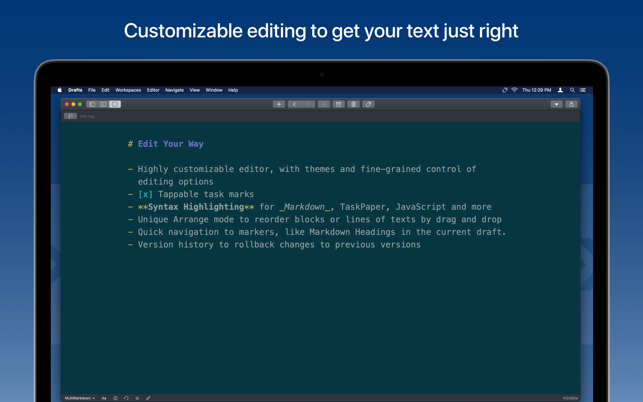 2) It uses MarkDown, a simple-to-learn way of formatting your text without having to reach for a menu: bullets, numbered lists, italics, bold, headers, or indent. A lot of people here are talking about how great it is to be able to dump into Drafts from the Mac, but I think the ability to copy and paste out of it from the Mac is at least as big a deal to me personally. I've been on the beta for a few months, and it has become a key part of my daily routine to capture my thoughts on the go using the Apple Watch and iOS apps, see a little badge on the Drafts app for Mac when I sit down at the desk, and immediately take care of whatever it is that's sitting there waiting for me. I've been using Drafts on iOS for nearly as long as it has been on the App store. 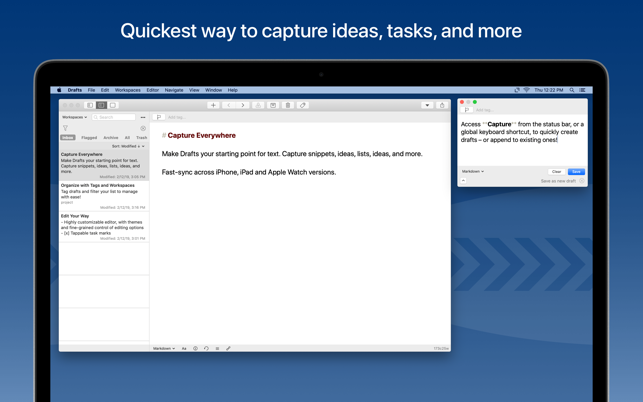 For years I've wanted a similar tool for quick text entry on my mac. I've bounced around between nvALT, Evernote, and Day One for quick notes, but each of those are either too simplistic or too complex. Drafts on Mac hits it perfectly. The option to append multiple quick entries to the same note (rather than separate ones) is just icing on the cake. A fantastic app from a developer with a proven track record.